The one-arm dumbbell row is a unilateral exercise that targets the lats, teres major, middle and lower trapezius, rhomboids, posterior deltoid, brachialis, biceps, and brachioradialis. 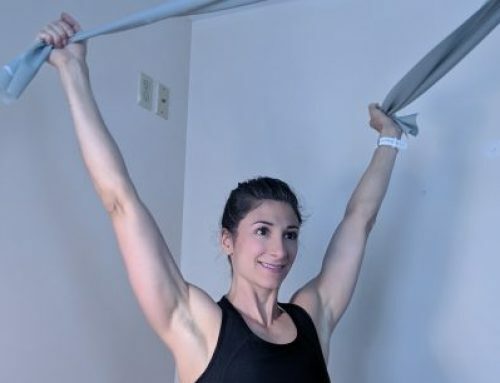 These muscles are also used while performing a lat pull-down. The one-arm dumbbell row is used to target the larger muscles of the back. 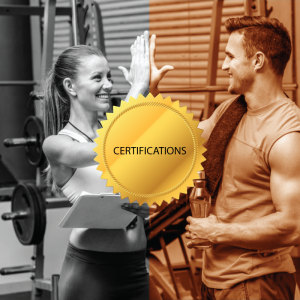 Just as there are numerous muscle groups involved, there are five different join actions that take place during the concentric phase of this exercise. 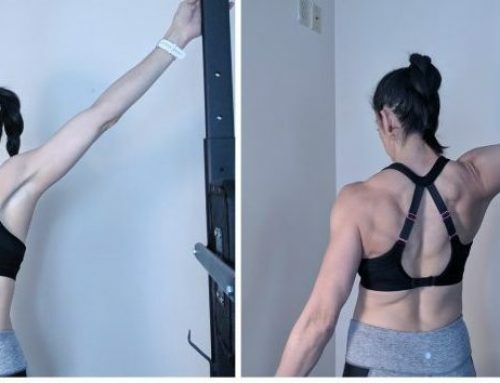 These actions include scapular retraction (shoulder blades pulling back), scapular depression, shoulder extension (as the arm comes back) and elbow flexion. Stand off to the side of a flat bench with a dumbbell on the floor. The body should be perpendicular, not parallel, to the length of the bench. 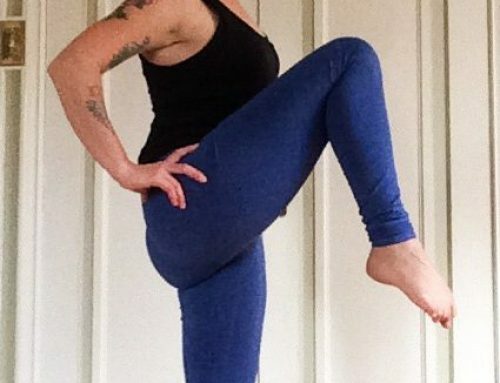 Position the feet shoulder-width apart and slightly bend the knees. Alternatively, place one knee on the bench. Reach down and grasp the dumbbell with a neutral grip. If the knee is on the bench, grasp the dumbbell with the opposite hand. Flex at the hips so the torso is slightly above parallel to the floor with the dumbbell hanging down with elbow fully extended. Place the opposite hand on the bench for support. Pull the shoulders back, the chest should be out and neck slightly extended to create a neutral spine. Avoid looking up toward the ceiling. All reps begin from this position. Pull the dumbbell up toward the torso while keeping the upper arm and elbow close to the side of the body. Maintain the same stationary body position and do no use momentum. Continue pulling the dumbbell up until it touches the side of the outer chest or rib cage area. The elbow will be higher than the torso. Slowly and in a controlled fashion, guide the bar back up to the starting position. The elbows should be fully extended and the end of the movement. Repeat the movement with the opposite arm. The one-arm row can be performed using other surfaces and/or equipment. 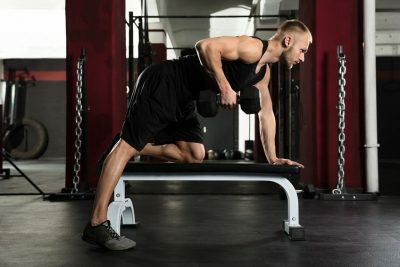 Other movements that target this same or similar musculature include the bent-over-row, low-pulley seated row machine, or a general seated row machine. 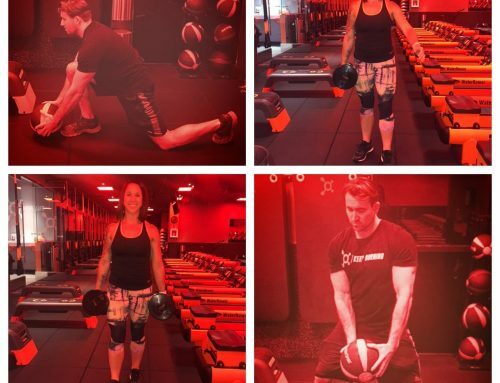 Understanding the full scope of a one-arm dumbbell row can help you maximize the potential and minimize risk of injury for your clients.